Advanced Process Solutions Sdn Bhd is an international service provider for the Oil & Gas industry with customers in over 15 countries in 4 continents covering a range of oil & gas production and processing facilities. Today, APS is an established company specialized in material supplies and a service provider in procurement services, engineering design, fabrication, assembly/packaging, installation and commissioning service and technical and skilled manpower placement services. 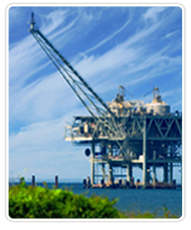 Reliability has been the main reason to APS success in the industry to the majority of the major Oil and Gas companies.